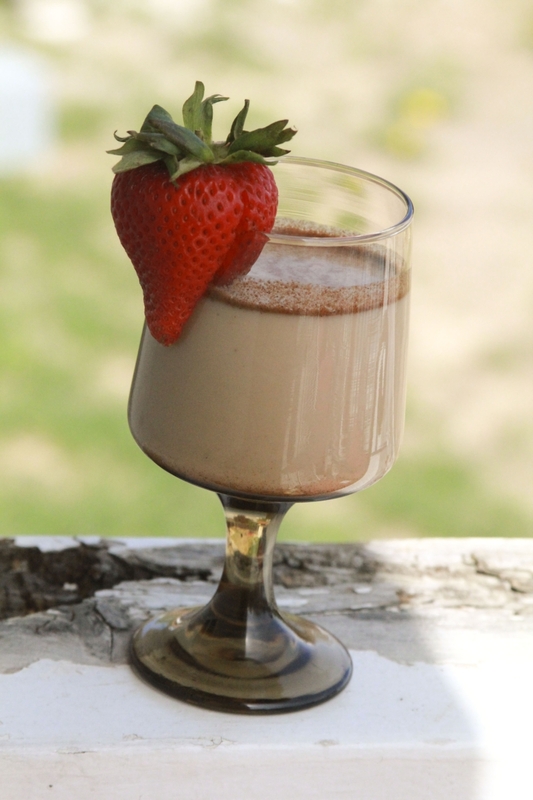 Whether you celebrate Cinco de Mayo or are simply looking for a delicious, low carb alternative to milk, this delicious low carb, sugar free horchata is freaktacular. I just gosh dang love it, gosh dang it. If you’ve never tried it before or have no clue what horchata is, sit down a moment. We need to have a chat. Close your eyes and think of a more refreshing egg nog, perfect for any day of the year. Now know that I put my horchata up against a local, high carb, authentic rice horchata, and mine is as flavorful–but minus the carbs. *does my little Snoopy horchata dance* The flavors are right on, but for health, you can’t beat this beauty of a beverage. That means we’re all winners. We must all Snoopy dance. We simply must. As an aside, I love the added, fresh strawberry as a garnish because not only is it pretty, the flavors combined with the cinnamon are spot on. You can see the cinnamon floating on the surface there. Amazing. That’s cinnamon floating, along with all of my hopes and dreams of a really tremendous, simple, refreshing drink. Don’t want to make almond milk? You bum! I kid… I kid… You can omit that step by purchasing unsweetened, unflavored almond milk (check the labels) from the store in a carton. It comes both shelf stable or refrigerated. This recipe doesn’t contain any dairy products, so woohoo! That’s right. You have my permission to boogie. Have a nut allergy? Use coconut milk instead. Ba-zing! Is there nothing that drink can’t do? Since the almonds absorb their fair share of liquids (especially when soaked overnight) in the milk process, I had less than 3 cups of almond milk. I added water to give me some lovin’ (as discussed below) to amount to 3 cups of liquids total. If you use pre-made almond milk, the container contains 32 ounces, or 4 cups of liquid. In this case, don’t bother combining 2 cups of almond milk with water to get three cups. At only 1 net carb per 8 ounces of milk, you’re really dealing in minutiae. I would rather you go and do something special for yourself with that time. Like let me borrow your cute socks. Hey; altruism is good for you. So knowing I could buy almond milk to make this, why go from scratch? Because horchata is made from scratch with rice and I wanted to go for the most authentic product for the best taste/texture results. I have realized you can go with the boxed almond milk or make your own–either way is pretty fabulous–and I include notes for each in the recipe below. Pour almonds and water into the bowl of a blender; blend until the almonds begin to break up, about 20 seconds. Let stand at room temperature for a minimum of 4 hours-overnight. Strain the liquids into a pitcher through a cheesecloth, wringing to extract as much liquid as possible (set aside the nutmeats use in a different recipe). Add water to almond milk until liquids equal 3 cups. 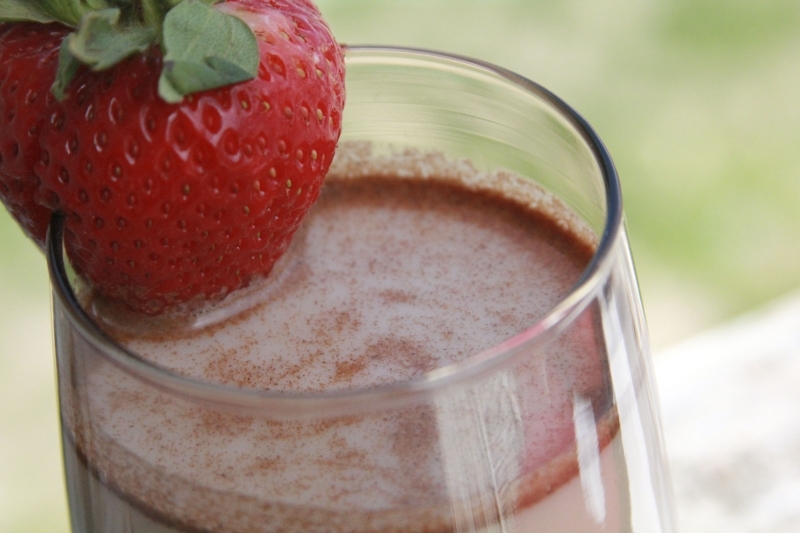 Mix vanilla, cinnamon, and sweetener into 3 cups of almond milk. Chill and stir before serving over ice. Yum. I looove horchata, but would never have thought to try making it low carb. Also, so glad you didn’t use cauliflower. Cauliflower was *thiiiiiiis* close as a milk base… But how do you milk those little florets? There aren’t any udders. I will definately try this Jamie! I wonder if I could put a little Kaluha in it, lol! Diana— are you asking me for permission?! Ha ha! Some days I’d be there, under the table, with my mouth open, hoping to catch some of the spillage. Truly, I’m not sure what the carb count is for Kahlua. I would guess it might be fine so long as you’re not looking at a sugary, carby drink. Please let me know if you try it and what you think! 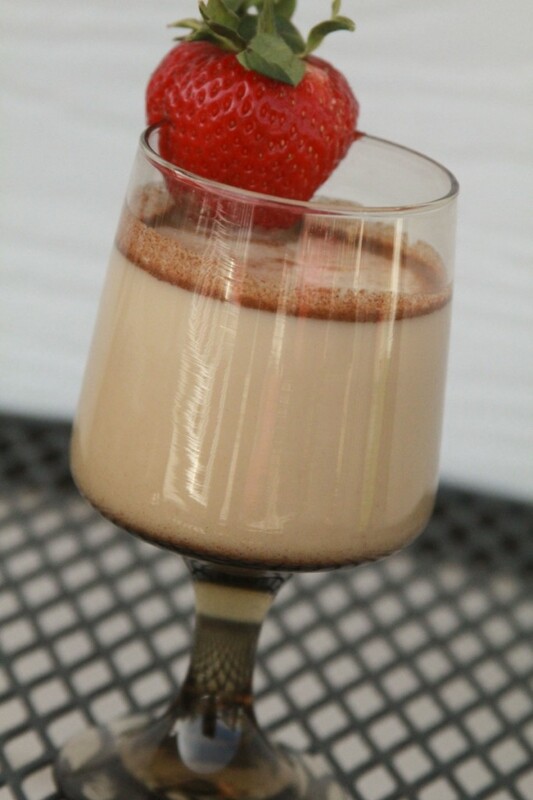 Sub alternative sweetener in this Kahlua recipe. The results won’t be as syrupy but it sure does work in recipes and drinks. Bring water, sugar and coffee to a boil in a saucepan. and syrupy. Cool. Add vanilla and vodka. Makes 7 cups. This sounds amazing and can’t wait to try it! Thanks for yet another yumlicious recipe! What a terrific idea, Sandra! I never even knew that was an option. Hmmm…this is making me think I’m going to start making a low-carb Chai now. My absolute FAV. Hi, Amy! Most sweeteners are so near to zero, they might add one more carb, but the type and amount of sweetener added will affect the numerical values slightly for sure! I just like to leave the sweet up to everyone. I am so glad you like it! I Snoopy danced over here for you!!! Great looking recipe and piccys! One of my legs is inching its way out the door to get a fresh coconut! I like to stir a little bit of Torani raspberry SF syrup into my almond milk, which makes it taste exactly like Strawberry Quik (remember that?). Your horchata recipe sounds awe…some. Cannot wait to try it! I should have included a piece on the side of the glass in lieu of cauliflower… I am so glad you are going to try this! Since I am loathe to figure out all the minute ingredients for just 1-8oz glass, does this store well in the fridge? It totally does, and it’s even better when it’s in the fridge for awhile to let those flavors really meld together! I keep mine in the fridge with a mixing ladle (fancy word for a spaghetti server) to keep ingredients incorporated prior to serving. I’ve had horchata on the brain for weeks now. I can’t wait to try this recipe. Thanks! I am so glad we had the same brain vibe! I love horchata, especially as a nice, warm-weather refreshment. I just returned from a vacation in Spain, where horchata is a very popular drink. However, in Spain it is made with chufa nuts, aka tiger nuts or ground almonds (not true almonds, actually, but a sedge variety that produces underground ground nuts, similar to peanuts). I think horchata is made with rice in Mexico because rice is more available than chufa nut but gives a similar result (though much higher in carbs). So your way of making horchata with almond milk instead of rice is actually more like the Spanish version. Dear gods this is good stuff! Please tell me how it is bad for me. It can’t be this tasty and not bad. LOL!! I promise it is safe and delish!